First and foremost, we want to start by whoring for our 24 hour charity video game marathon over at Extra Life for the Phoenix Children’s Hospital. We are going to play 24 straight hours of video games and broadcast it live for all of you and all you have to do is donate to the Children’s Hospital. GO DO IT NOW!!! That being said, we are happy to welcome our newest, and hopefully most frequent guest, DLC. Check him out on Twitter and Instagram for a real good time. We’re happy to have him on because he brought Gamescon to the table and we were oblivious to it because it was in Germany. He also works at Fallout Games, and really wants you to come in and talk to him about games so go chew his ear for a while. We also have a lot of technical issues, so bare with us. 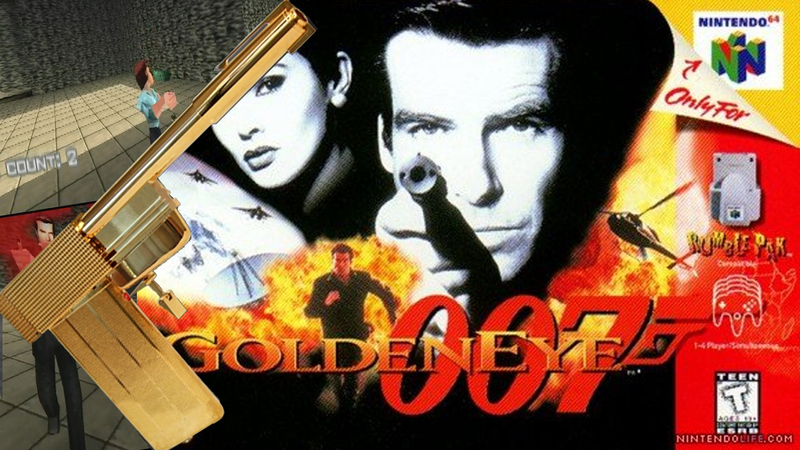 After we rambled for way too long, we decided to talk about Goldeneye 007 for the Nintendo 64. This game defined the PS1/Sega Saturn/N64 generation’s First Person Shooter and introduced local multi-player. In doing so, it spawned the phrase “STOP LOOKING AT MY SCREEN” and the rule of not being Odd Job. We also reminisce about how there was that one guy who knew every spawn point in the multi-player mode who just made playing the game unbearable. For the most part, we loved this game, and while it is showing it’s age compared to the newer First Person Shooters, we respect Goldeneye for the wheels it set in motion. If you get a chance to revisit this game, give it time and you’ll eventually relearn to love it. We hope that you’re ready for Golden Gun mode because we shoot to kill and get ready for Episode 30 of the Casual Cowards of Gaming. Next Post:Casual Cowards 30.1 – NES Brawl!!!! Ryan don’t hate on Fox. Fox is my boy in smash brothers. Stupid anthropomorphic space weasel. Who brings a gun to a fist fight? Samus, Link, Pikachu, Falco, Mewtwo… shall I go on?